In a way you’ve got to feel sorry for HTC. Despite making award winning phones that reviewers (including us) have drooled over, they never seem to generate as much public interest as their products perhaps deserved. 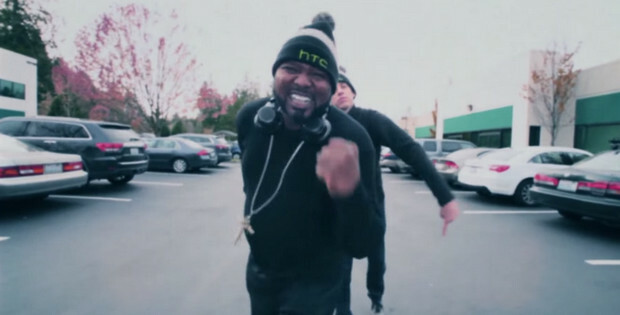 For reasons best known to themselves, the marketing bods at HTC thought the best way to rectify this situation is to release a terrible, terrible rap video, containing half-arsed cusses of their rivals. Somehow PM Dawn allowed himself to be talked into taking part in this credibility-crushing nonsense (we guess the price was right) along with ‘HTC’s own D 2 tha B,’ whoever that is. It’s awful. Don’t make any more please, HTC. Good god that is awful. I guess the royalties from ‘set adrift on memory bliss’ must have dried up by now. About the only thing I agree with is the ‘galaxy is over-rated’ line!